Ericsson (NASDAQ: ERIC), Telstra and Intel have successfully completed the first end-to-end 5G non-standalone (NSA) 3GPP data call on a commercial mobile network at Telstra's 5G Innovation Centre on the Gold Coast Australia in a multivendor setup. With this achievement, the companies have taken 5G out of the lab and into a real-world mobile network environment. The call was the first of its kind over 3.5GHz spectrum, bringing together the core components from multiple companies required for a real commercial 5G network call. It included Telstra's 5G NSA commercial network, licenced 3.5GHz commercial spectrum, Ericsson's commercial 5G NR radio 6488, baseband and packet core for 5G EPC, a personal Telstra SIM card and the Intel® 5G Mobile Trial Platform for the 5G NR UE. This milestone quickly follows the July 6 lab-based data call by Ericsson and Intel, together with Telstra and other early-moving 5G service providers at the Ericsson Lab in Stockholm, accelerating efforts to deploy commercial 5G networks. 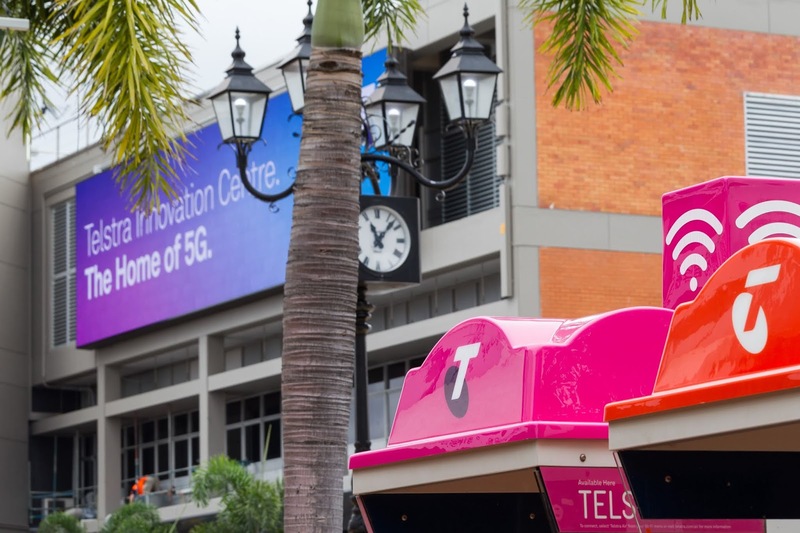 Telstra's Group Managing Director Networks Mike Wright, says: "Demonstrating this 5G data call end-to-end using my own personal SIM card on Telstra's mobile network is the closest any provider has come to making a 'true' 5G call in the real world-environment, and marks another 5G first for Telstra. We continue to work with global technology companies Ericsson and Intel as well as global standards bodies to advance the deployment of commercial 5G capability in Australia." Fredrik Jejdling, Executive Vice President and Head of Networks at Ericsson, says: "We're quickly moving towards 5G commercial reality. Achieving the first commercial data call with our partners Telstra and Intel shows the progress we've made from testing the technology in a lab to a 5G commercial network environment. 5G is open for business and Ericsson is helping customers get it done." Asha Keddy, vice president and general manager, Intel Next Generation and Standards, says: "Along with Ericsson and Telstra, Intel continues to demonstrate its strong 5G technical capability, as showcased by this first 5G data call on commercial infrastructure deployed in Telstra's network. Intel will continue to collaborate on 5G tests and multiple use cases ahead of Telstra's planned 5G commercial launch that will bring powerful, low-latency and high-bandwidth experiences to consumers." Ericsson, Telstra and Intel will continue to conduct 5G tests across multiple use cases ahead of the expected 5G commercial network launch by Telstra in early 2019.